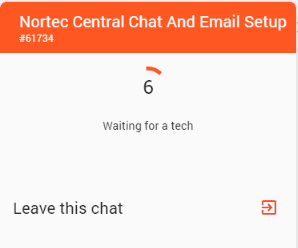 The easiest way is to way to start is to click on the Nortec Central button in the bottom left hand corner of the task bar. 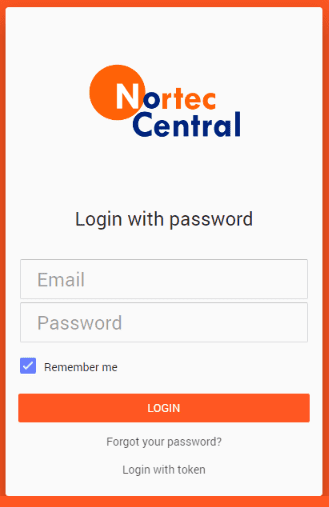 When launching Nortec Central you should be logged in automatically, however, if you’re prompted with a login screen please enter your email address and portal password. If you’re not sure what it is you can hit the Forgot Password button and it will be emailed to you. All else fails contact support on 02 9894 9514. After logging in you are presented with the Open Tickets page. This shows all tickets that are currently open with Nortec. Access closed tickets by selecting the menu item on the left-hand side of the screen. The same timeline and details options are available from this menu. 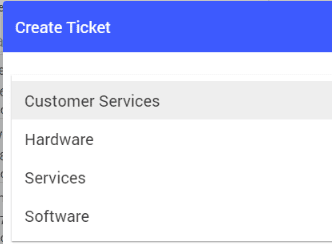 Request support by navigating to the Create Ticket section on the left and then choosing a support type. Depending on the ticket there may be an additional sub-category to further narrow down the issue. 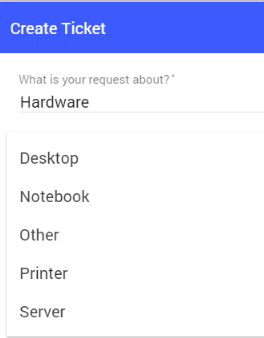 In the example below Hardware as the main category – giving additional sub category options. From here you can also attach a file of up to 4 megabytes or take a screenshot and attach it to the ticket. You can also leave any additional notes. This ticket can now be tracked as per the Open Tickets Tab. 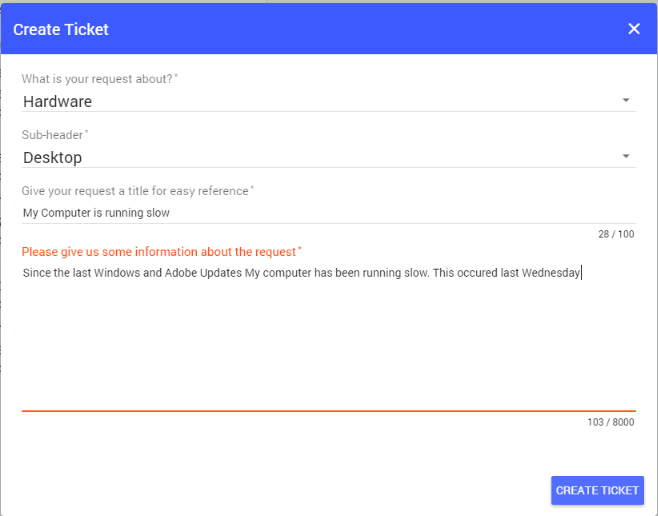 You may also have the option to initiate a chat from the chat icon in the top right-hand corner of an open ticket, clicking the chat icon will initiate a chat request and when picked up by a technician a chat window will appear to the right of the ticket. If an engineer is available a message will appear asking how they can assist you. You can then proceed with the online chat. This will be added to the ticket information. 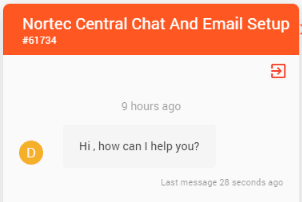 To end the chat, click the button on the chat screen. If an engineer is unavailable a message will appear advising you that they are all busy. In some situations, permission for Nortec to work on tickets is by Approval. 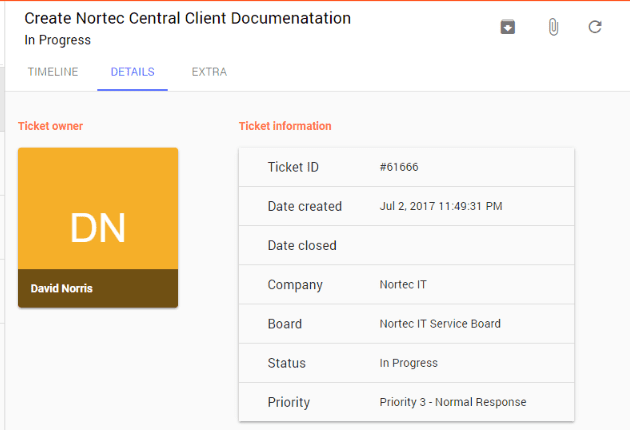 Someone within the organisation is given the authority to Approve Nortec to work on tickets. No action is made on a ticket until it has been approved. 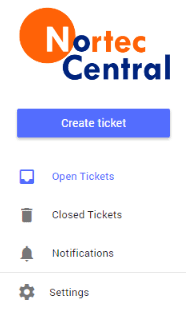 If you have access to Approvals, the section will display on the left along with the number of tickets that require approval. Inside the Approvals are all tickets that require approval, by clicking on a ticket you can then choose to Grant or Decline approval for that ticket. If you have been given access to Recommendations you will be able to see all quotes for your company, clicking on one will allow you to view it. Stuck on how to do something or want step by step instruction open up our learning centre. The Learning Centre is on the left-hand menu side of the Nortec Central App. This is a database of helpful articles to help you with using everyday applications. Check back here often as this will be continually updated. If you have any specific requests of material to be added let us know.